A born and bred Queenslander, Danielle has travelled from the reef to the heat of the Simspon Desert four wheel driving throughout Queensland. She has ventured to the very ‘Tip’ of Queensland, deep into rainforests and out across vast outback plains. 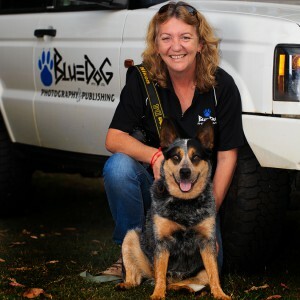 With a wealth of expertise in the outdoor field and her love of hitting the road and exploring by 4WD, Danielle has travelled widely throughout her home state of Queensland and beyond providing material for a wide variety of publications and private corporations. Images are supplied to numerous corporate, government and private sectors both nationally and internationally. Current clients include: Tourism Queensland, 4×4 Australia, ACP, News Ltd, TravPix, RACQ Road Ahead. Danielle holds a Certificate IV in Assessment and Workplace Training, has lectured in photography (digital and film), art history and design and delivered workshops and spoken at conferences for the Queensland Government, Queensland RADF, Shire Councils and other authorities in Australia and internationally. In 2014 Danielle will deliver to a congress in the USA on the 8th June. Along from solo and group exhibitions and private acquisitions works are held in collections and in 2004 Danielel was the co-author of ‘Out around the Bulloo’ a pictorial essay of the remote Bulloo Shire in western Queensland during Australia’s worst drought which when published received rave reviews in Australia and overseas as “capturing the pure essence of the area”. Danielle, when not out touring lives on Tamborine Mountain with her sons and blue heeler, Tilly.